Have fun making your own garland with all of these colorful felt balls! 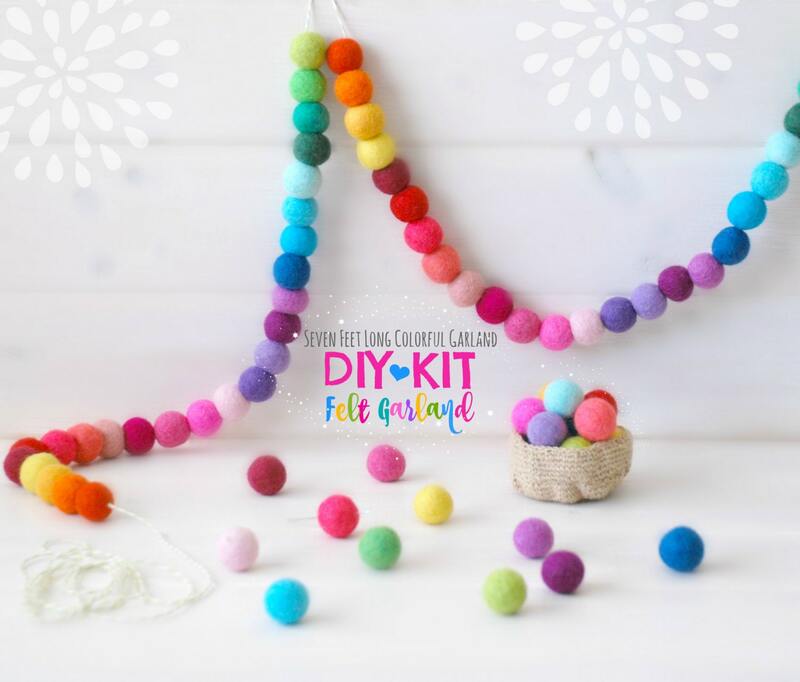 I have put together my favorite felt ball colors to create these lovely, bright, happy and colorful felty ball garland kit!! You can make one for every Holiday (Christmas, Thanksgiving, Hanukkah, Valentine's, Halloween, St. Patrick's, etc) or why not... for every season too! Summer, Spring, Fall and Winter! You can also add other felted items such as felt hearts and felt stars for a special one. 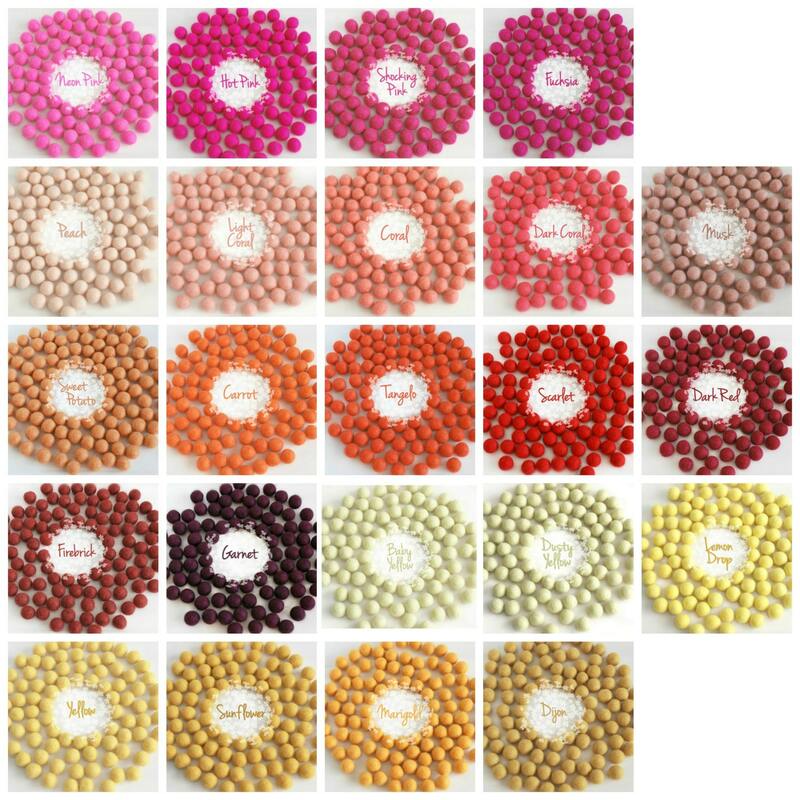 * Happy Colors Garland: Just as Pictured! 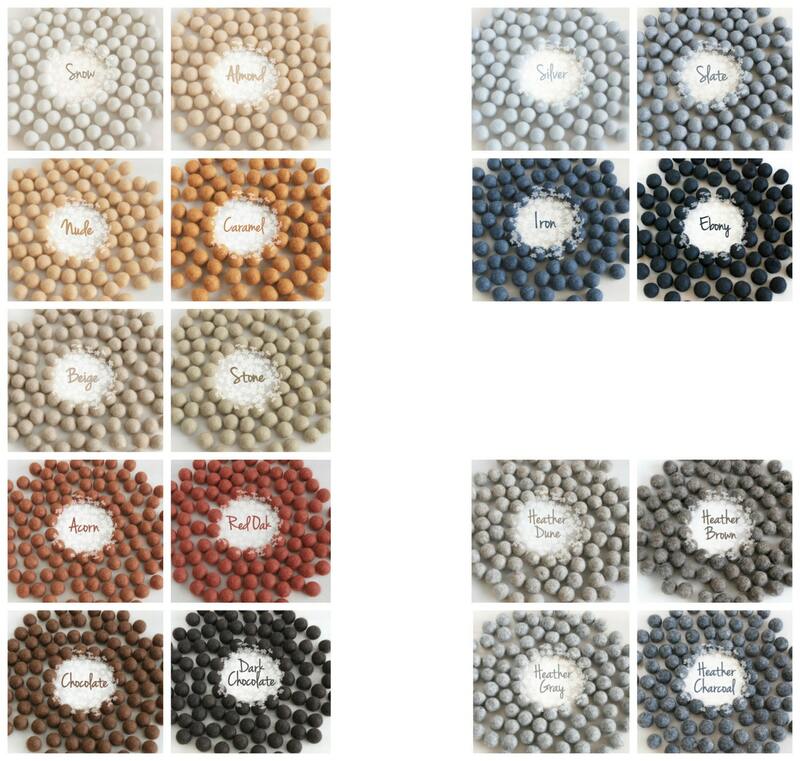 * Choose 5 Colors: Refer to images 3-5 to see colors available and Indicate them in the “Notes to Seller” section at checkout. 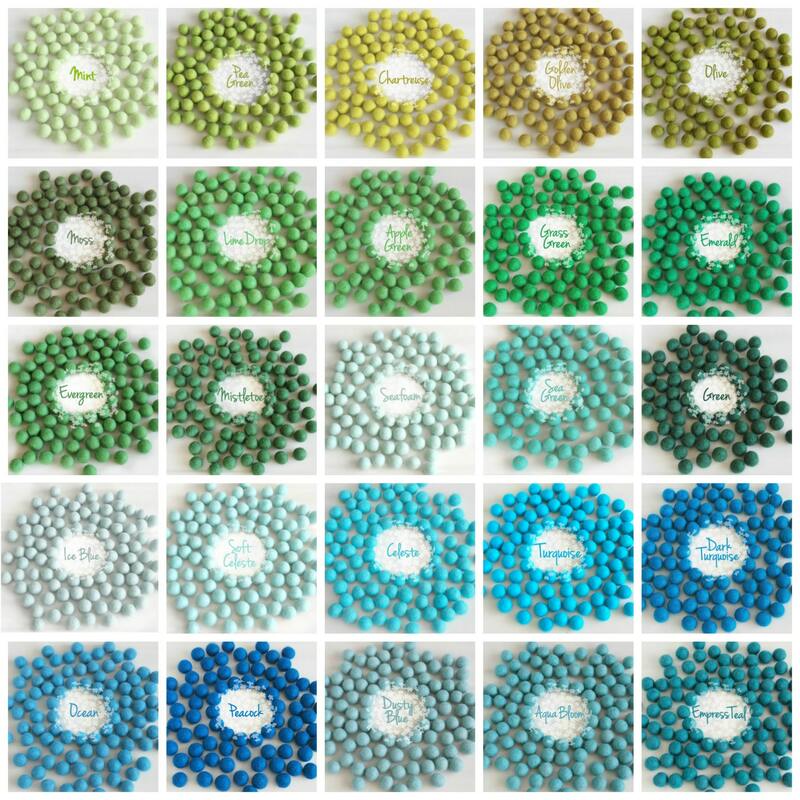 * Choose 10 Colors: Refer to images 3-5 to see colors available and Indicate them in the “Notes to Seller” section at checkout. Size: Approx. 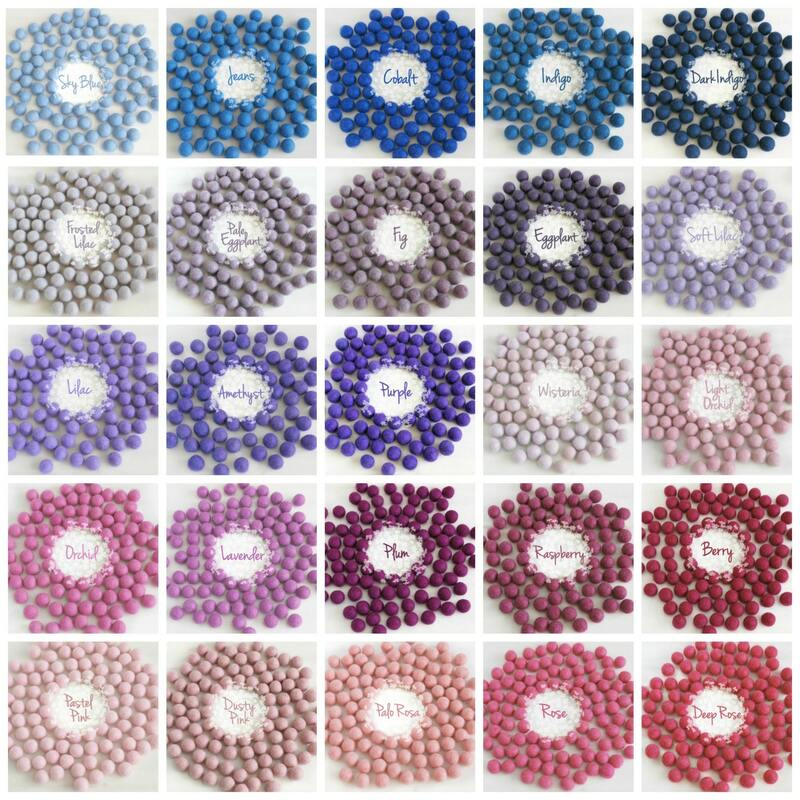 2cm / (18 mm to 20 mm) (being handmade, there is naturally a variation in size within colors; also, some colors tend to be slightly larger or smaller than other colors). Love the garland.... could not believe how fast I received it. Would definitely buy from this shop again. Love how this turned out!! Utterly adore these garlands! Lightning fast delivery too. Thank you!